Four teams left in 2017's first major CS:GO tournament will look to set the agenda for the game with a dominating finish in Atlanta this weekend. Under the glare of the lights on the Fox Theater stage, European juggernauts are looking to unseat the Brazilians and return the game to a deathmatch between top European contenders. Below you’ll find where and when you can catch all the weekends biggest events in competitive gaming. Let me know what you’ll be watching in the comments and if you think there’s something I missed. The week-long ELEAGUE 2017 Major comes to a head today with the semifinals beginning around 12:30PM EST today. There’s a prize pool of $1,000,000 with half that set aside for whoever takes first place. Once again, the conclusion of the tournament looks to be in European hands. Surprisingly, however, Natus Vincere is not among them, having fallen to Astralis in the quarterfinals after a stellar run through the group stage. As a result, Astralis is set to face Fnatic in the first leg of the semifinals, followed by Virtus.pro vs. the winner of FaZe Clan and SK Gaming. The winner of those two series will then meet in the grand finals set to take place tomorrow morning at 10:00AM EST. You can stream all of the games live right here, with the grand finals to be broadcast live on TBS as well. The Winter Premiere tournament, which began in December with open play and moved to its first group stage earlier this month, will conclude this weekend as well with the top North American teams going head-to-head with a prize pool of $100,000 up for grabs. The conclusion of the tournament is being held at PAX South in Texas, with Luminosity set to face CompLexity Gaming in the 3rd place best-of-five series at 1:00PM EST, followed by the grand finals featuring Immortals vs. Ghost Gaming at 3:30PM EST. You can stream both series right here. The second week of the North American and European LCS Spring Splits continue today and tomorrow. Weekend play kicks-off at 3:00PM with Immortals vs. Cloud9 and Phoenix1 vs. Team Envy. Matches will pick back up again tomorrow at the same time, while across the pond matches began today at 10:00AM EST with H2K vs. Unicorns of Love. Another round will follow at 1:00PM EST with Sunday following the same schedule. You can find the European matches streamed live here, while the North American ones will be available in the Twitch stream below. Games in the Europe Heroes Global Championship will resume today at 12:00PM EST with Misfits.GG and Expert Hot currently heading up the top of the table at six points each. Team Dignitas will take on Tricked eSport followed by Playing Ducks vs. Misfits HotS at 2:30PM EST. Then it’s the North American side of the equation beginning with Tempo Storm HotS vs. B Step at 5:00PM EST today, followed by No Tomorrow vs. Team Naventic. Play will resume on both sides of the Atlantic again tomorrow, with all of the matches available to watch live right here. Geico has decided to sponsor the One Nation of Gamers Hearthstone tournament at this weekends PAX South, because nothing says get insurance to cover the risks in your life like the RNG of a digital collectible card game. Over a hundred players registered with a $10,000 prize pool available. Matches are spread out across both days, with all of them available to stream live here. The Kinguin for Charity event is also began this weekend, and will continue into next month. You can stream all of the matches, beginning today at 12:00PM EST right here. The Frosty Faustings IX event began on Friday and will continue late into tonight. The main games include Street Fighter V and Guilty Guilty Gear Xrd -Revelator- as well as a host of others. The complete schedule is available here, but top 8 play across each game will begin around 9:00PM EST tonight. You can catch the action here, with a full list of streams and match times available here. 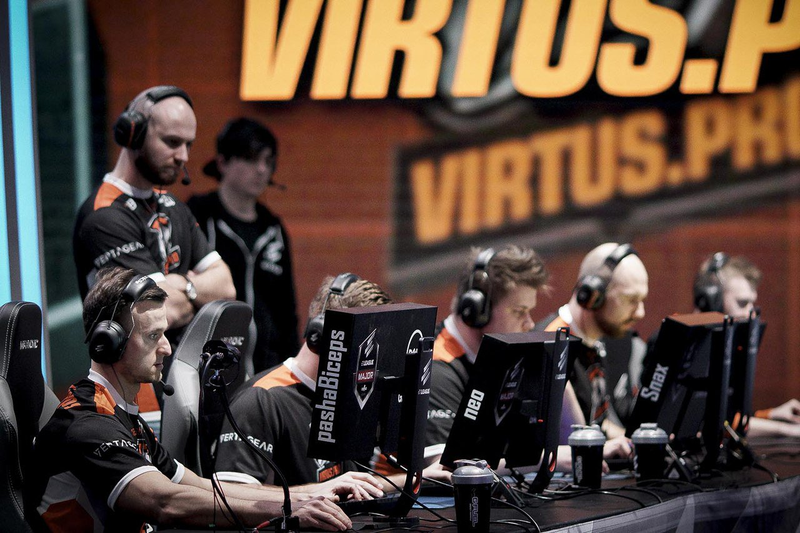 Play in the StarLadder i-League Season 3 extends throughout the weekend. European and North American qualifiers will include matches between the likes of Ad Finem and Vega, Na’Vi and Liquid, and Alliance and Secret. The two-game series will go all weekend long and continue into Monday. Gfinity’s 2017 CWL will see Call of Duty return to London in a three day tournament featuring a $25,000 prize pool. Splyce, Elevate, Team 3G, and Infused each won their group, though Splyce was sent down to the loser’s bracket after their first play-off series against Orbit. Play will wrap up for today this afternoon, and will resume again on Sunday around 4:45AM EST. You can find a complete schedule here, and stream all the games live here. Coming off the highs and lows of last weekends Genesis 4 event, you can keep the adrenaline going with Smash Valley featuring talent like Dabuz and MkLeo. It’s in Germany though, so the action won’t last long. You can find the matches as they’re happening here, and find anything you might have missed here. There’s also the The True King event going on this weekend in the States, featuring tournaments for Project M in addition to Melee and Smash Bros. Wii U. Also Clash Royale, cause why not. You can stream the matches here.